CARMAX U.S. LARGEST USED CAR RETAILER. 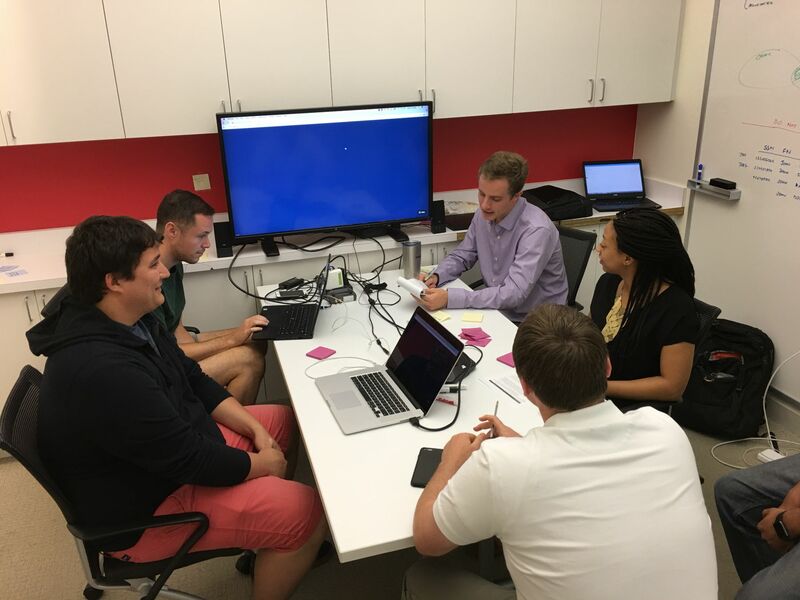 During the summer I worked on an interdisciplinary team with two developers. 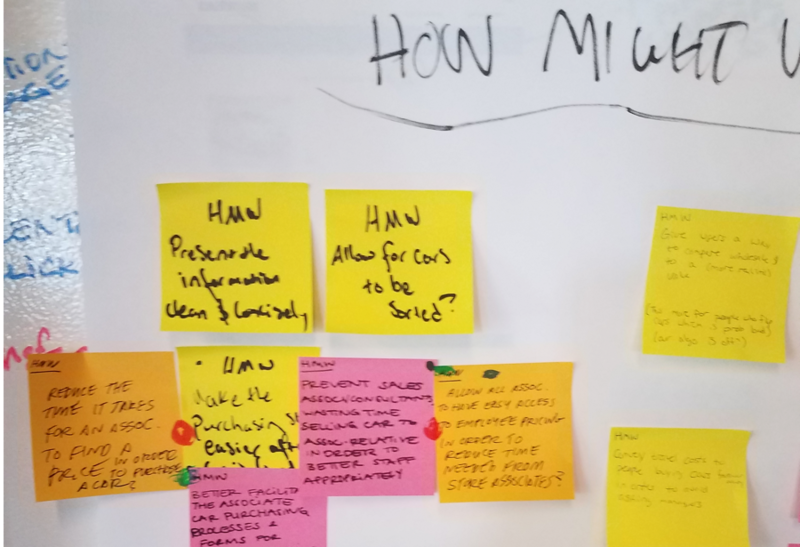 We were tasked with creating a way for CarMax Associates to determine their discount on vehicles. We operated as a true core team from discovery to delivery of our product shipment. Due to the sensitive nature of the product I am unable to show finalized product. Below you can view our process. 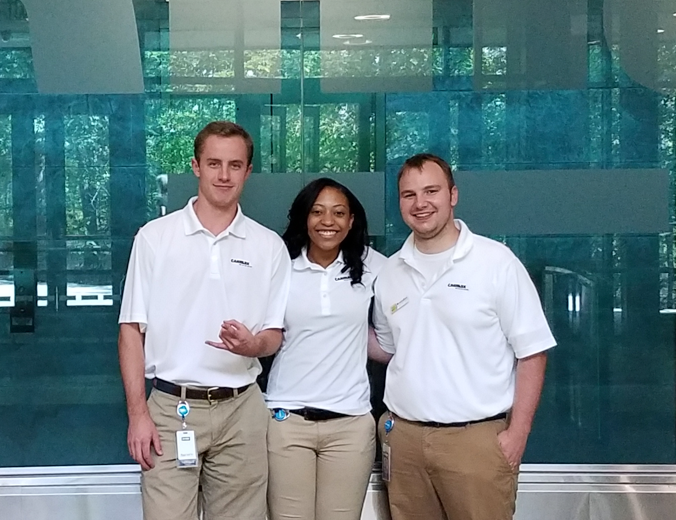 Once I completed my internship with CarMax, I extended took on the position of Junior Product Designer. I work with various product teams. Contact me to chat about my current experience at CarMax bagby.jess[at]gmail.com (804)484-0079. FALL IN LOVE WITH THE PROBLEM NOT THE SOLUTION. Create an internal platform for which associates can determine their employee discount. 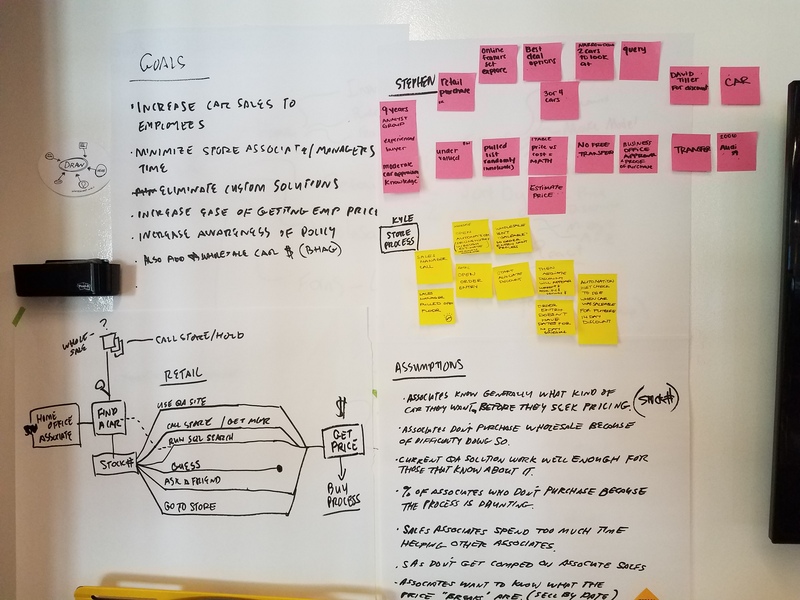 I was fortunate enough to not only work on a collaborative internship team but be surrounded by thoughtful product designers at CarMax. My experience at CarMax has not only increased my knowledge and experience about product design but also about myself. It has allowed me to gain hands on experience I would have never received otherwise. 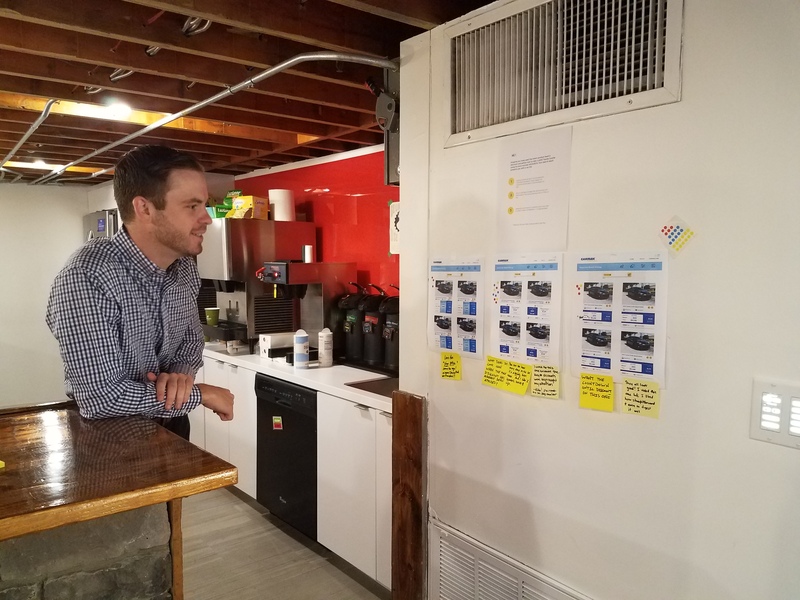 I was and am immersed in the full product organization experience, over the summer my team and I had daily stand ups, attended town halls, presented at open house. 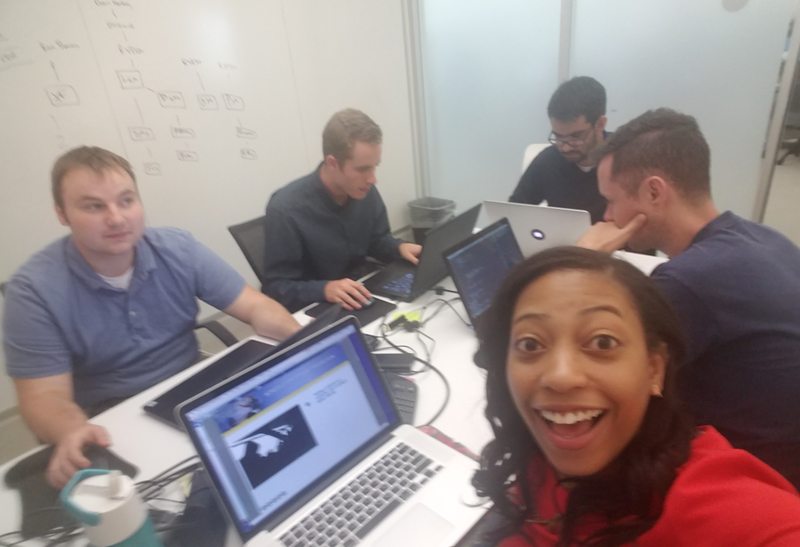 CarMax is an organization dedicated to learning which makes them constantly trying out new methodologies, software and ways to connect with the user. Which allowed me the opportunity to try out new methodologies and software as well. 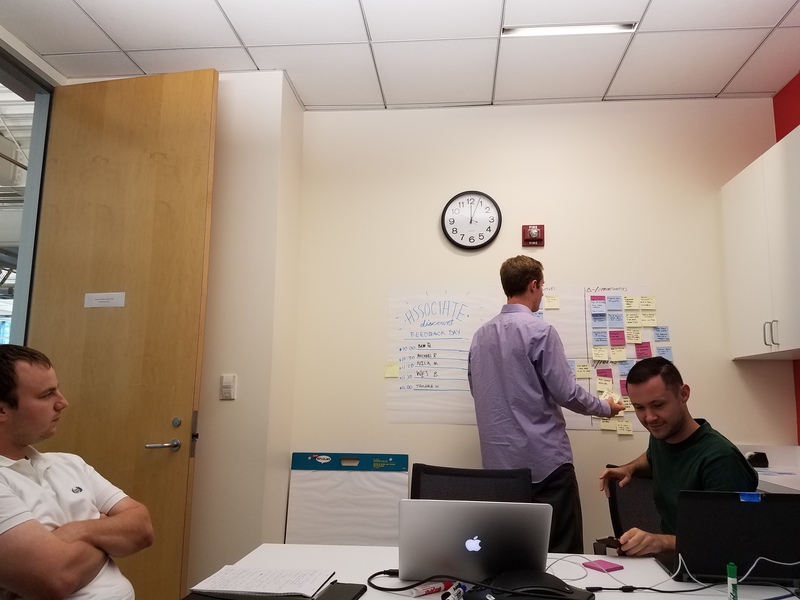 Briefed by our Product Managers we were given the stakeholder expectations as well as our limitations and constraints.We were led by Chip Trout, UX Discipline lead on our first Google Sprint. This aided our team in becoming acclimated with one another and familiar with our problem space. Determining the price was not the major issue, understanding and finding the associate discount policy was the largest pain point. Associates would give up trying to receive their discount price and purchase a vehicle from another retailer. 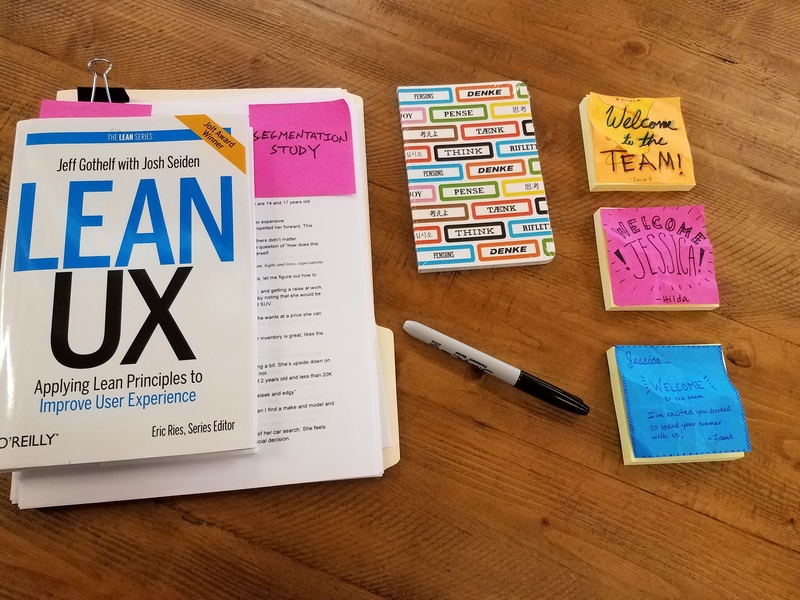 I was gifted LEAN UX by the awesome CarMax product designers as a welcome and I read and applied many of the methodologies throughout my process. We had created and prototyped a tool which we tested. WHAT ARE THE USERS PERCEIVED PROBLEMS? I created a general survey to gather statistically significant data to better understand Associates perception of the policy. Utilized the results to guide our team to determine the problem we truly needed to solve for. Once my team and I understood the current situation of the pink tax and our chosen problem space. 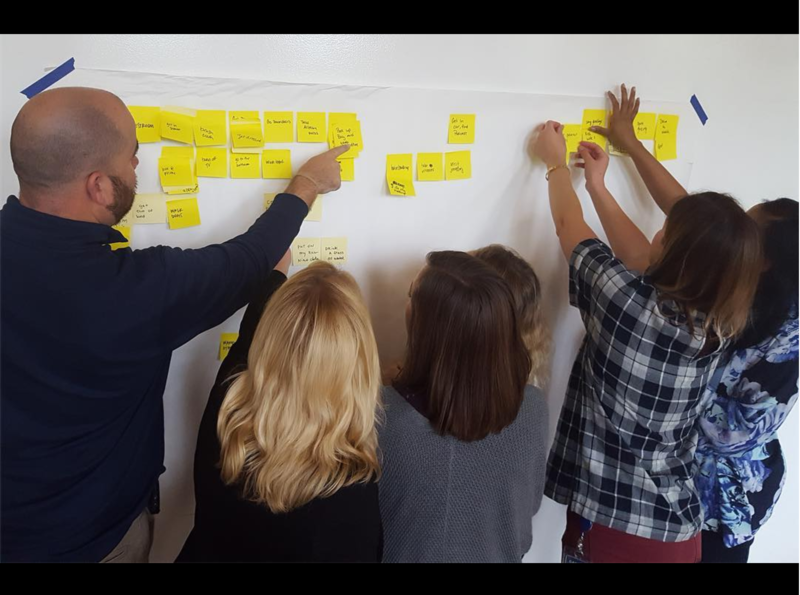 We then needed to have a better understanding of who we were designing for; what their needs, expectations, and pain points were. WHAT IS THE CURRENT JOURNEY? 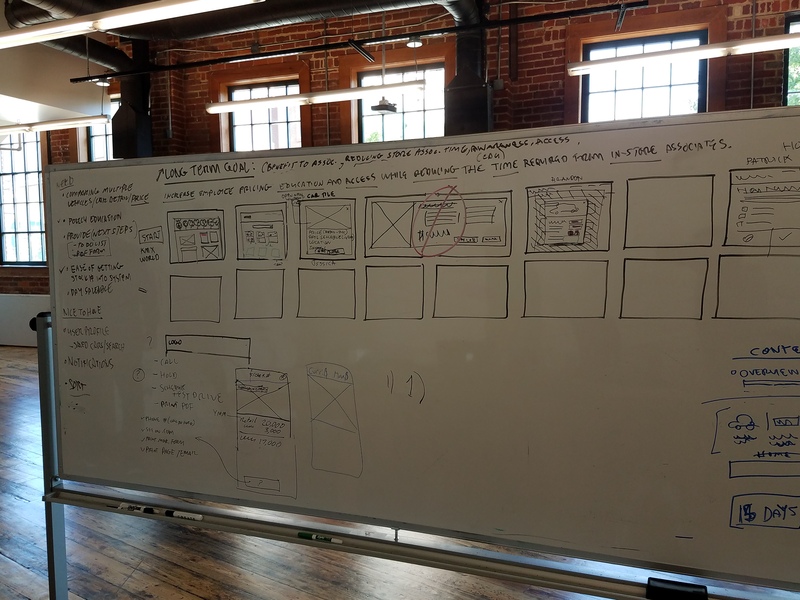 We created a user journey based off of our assumptions and user interviews. 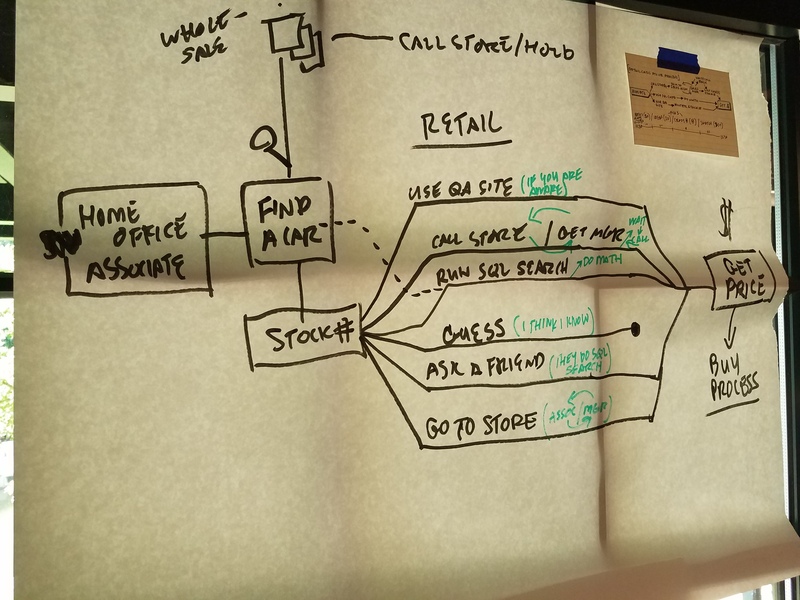 Completing this activity we realized the various methods in which Associates use to determine their price, many of which are ineffective and even lead to dead ends. We uncovered many pain points. HOW DO ASSOCIATES WANT TO SHOP? While interviewing associates we documented their responses using Delta Next boards to aid in organizing notes. 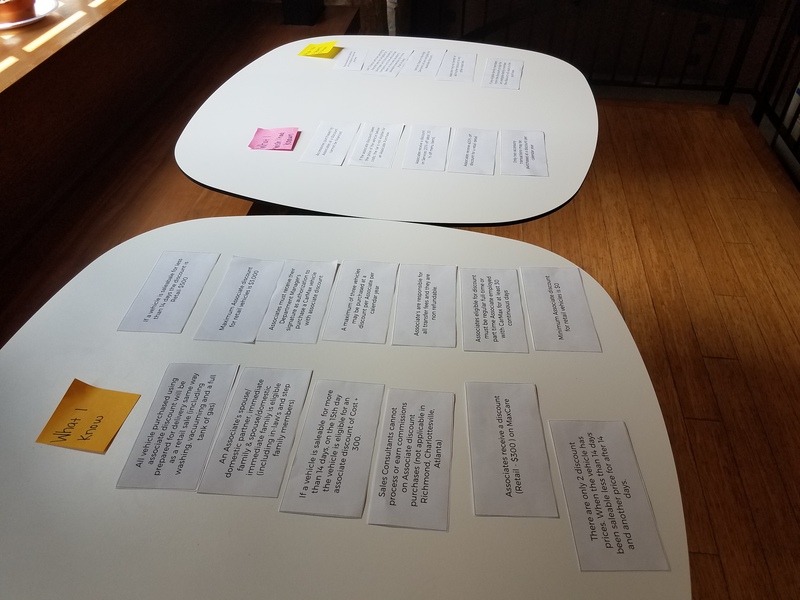 Following each session we each shared our insights or questions to create discussion and shared understanding. We developed Jenny, our design target. A new employee who is proactively looking for a new vehicle as her current is close to reaching 100,000 miles. She is very unfamiliar with the policy and relies on other associates to help her navigate the policy and CarMax associate discount. WHAT FEATURES & INFORMATION DO ASSOCIATES NEED & WANT? In attempts to understand what information was most and least important for associates to know I used statements from the policy and had associates organize accordingly. This gave me a overview of which parts of the policy were not explicit and created the most tension. Ensure that we thoroughly understand who are design target is, their needs, pain points & expectations balanced with those of our stakeholders. Associates needs are understanding how the policy works just as much as the car discount price. One without the other is not a delightful experience. 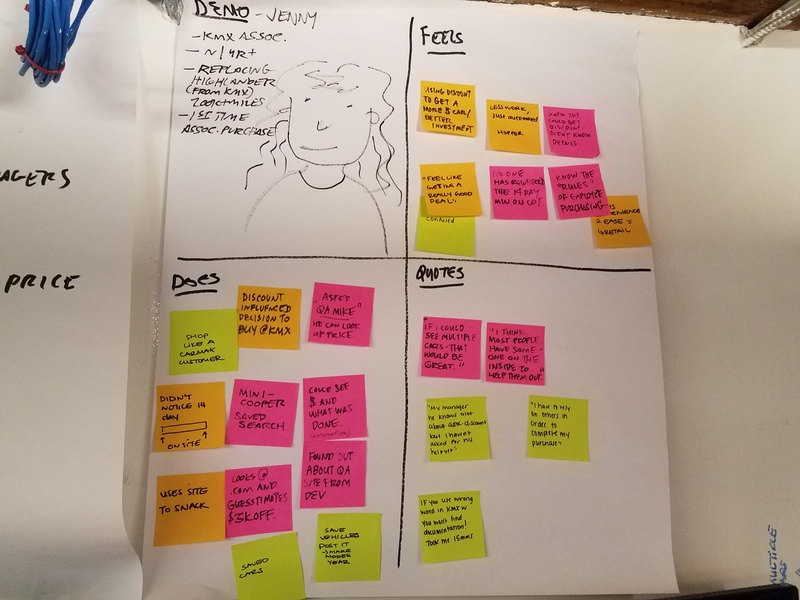 Due to various constraints our team needed to understand what we could and could't create within our time there. Thus creating an effort and impact chart to best prioritize our time and effect of our platform. WHAT ARE THE STAKEHOLDERS GOALS? 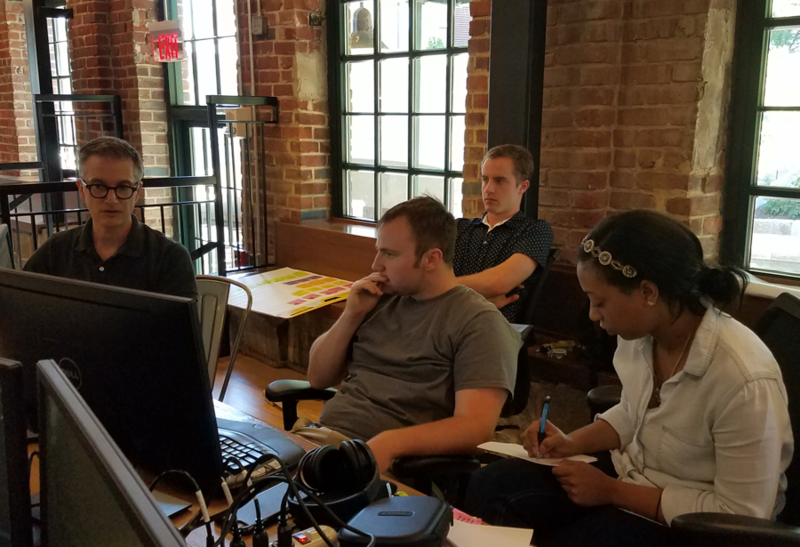 We had check ins with our Product Manager and Stakeholders to ensure that we were not only creating an effective product for Associates but also meeting out business goals. Learning to balance business goals and advocate for the user is a very delicate balance. Designing with our target rather than for our target enabled us to quickly design, prototype, receive feedback and iterate on our design. 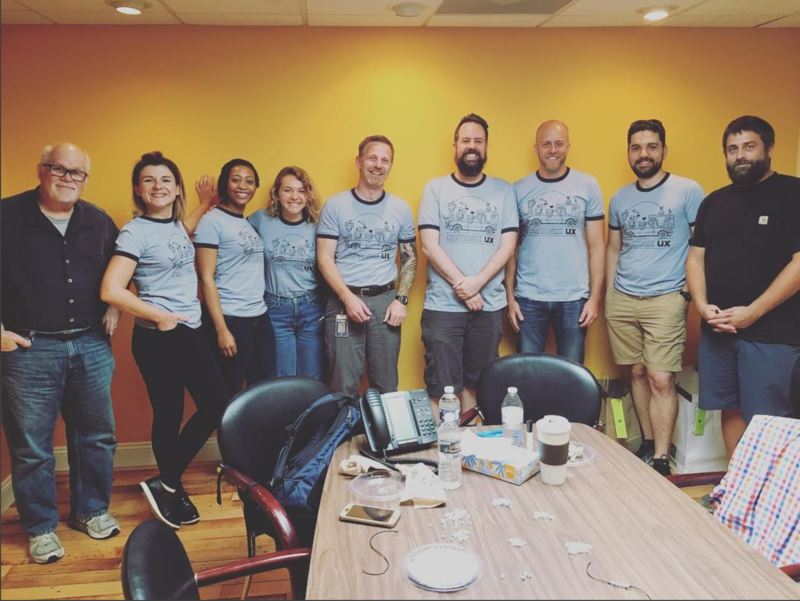 We needed to be as mindful as possible of time management and meeting our bi weekly sprints that it was a necessity to be in a constant feedback loop. CAN ASSOCIATES NAVIGATE THE SITE? Our team worked collaboratively to concept and deliver an extensive and well rounded campaign with various touch points. Starting with print ads and social posts which are reinforced by the experiential all of which leads to the website. The website provides the mobile tool, fairprice credit card and list of pink tax free stores. WHICH DESIGN TO ASSOCIATES LIKE BEST? To gather many associate's feedback quickly I designed a quick dot voting exercise which was placed at each of the kitchenettes. Associates were asked to choose their favorite design and layout, using the dot and post it notes. WHAT IS THE TONE & VOICE? After completing my user research I developed an information architecture of must haves for the platform to be useful for our design target. As a team we met with a copywriter to ensure we were evoking the correct tone and voice for the site and being as clear as possible. Especially with a dense document such as a policy. The communication of our platform was at the top of our list especially being that many associates are confused by the policy.